International containerized trade through western Japan’s Port of Osaka in the first half of the year surged 15.2 percent year-over-year to 1,054,581 20-foot equivalent container units, according to preliminary figures released by the Osaka municipal government, the Journal of Commerce reports. 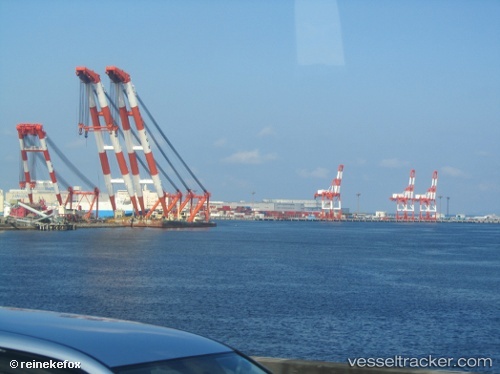 It is the first time that foreign container trade through Osaka, Japan’s fifth largest port, has topped 1 million TEUs. The bump in trade shows the catastrophic March 11 earthquake and tsunami in northeastern Japan had a limited impact on Osaka’s container trade. Of the foreign trade containers handled between January and June, 459,006 TEUs were exported, up 15.1 percent from a year earlier, and 595,574 TEUs were imported, up 15.3 percent. Osaka’s container cargo exports to the United States fell 7.5 percent in volume between January and June from a year earlier to 191,199 tons, while its container cargo imports from the U.S. soared 75.9 percent to 479,584 tons.